Beautiful one-layered piece 12" Hawaii Nei Laser Cut on textured card stock. Choose your color preference. 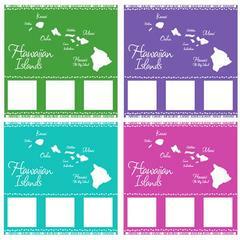 Perfect for your Hawaiian or Tropical Scrapbook album!